Las sillas, originally uploaded by bilobicles. 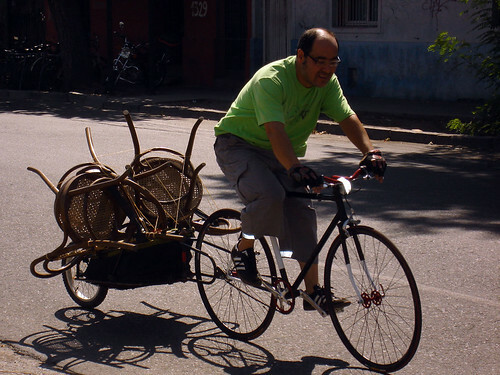 Bilobicles on Flickr snapped this shot of a cyclist transporting stuff in Santiago, Chile. Meanwhile, on the other side of the planet in Copenhagen, I recorded the Chilean's counterpart performing a similar task. 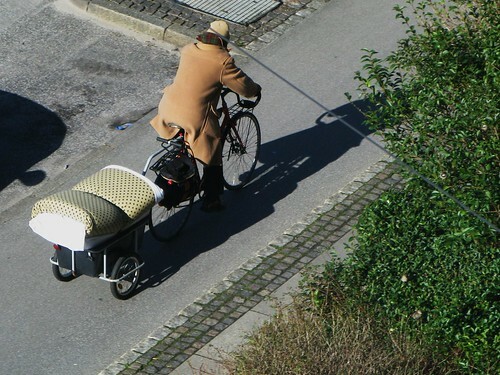 Ah, the globaliciousness of the bicycle. Second only to football.